AVG Logistics Limited is a market leader in providing integrated solutions within road and rail cargo. Over the past years due to our continued hard work & dedication, we have excelled ourselves in this domain. We always make sure that the goods are safely delivered to our customers without any damage and harm. Therefore, utmost care is taken, right from packaging to the delivery of goods. Currently, we have a fleet of more than 1200+ vehicles, including hired & owned dry/reefer vehicles. Owing to our automated technology system, our customers can closely monitor the movement of the cargo. Our services are specially designed to satisfy our customers' changing needs. 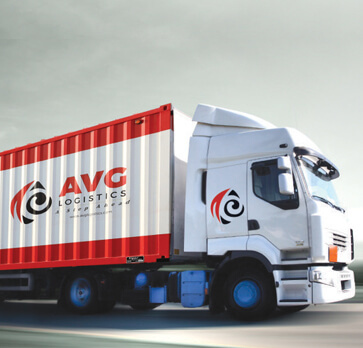 AVG Logistics Limited is well positioned to cater reliable, efficient and cost effective FTL/LTL in both primary and secondary sector. FTL (Full Truckload) is used for the shipments in which entire is dedicated to your freight and LTL (Less Than Truckload) is used for the shipments that don't need the complete space in the truck. In LTL and FTL size, value, and difficulty of transporting your freight determines the carrier shipping charges. 24x7 Dedicated Service: We have 24x7 monitoring systems, which make sure that goods dispatch on the scheduled network. In order to ensure that cargos reach to our clients safely, we have 24X7 dedicated service provides that keeps an eye on the fleet. Consistent Service Levels: With the lowest transit time and the highest precision in the service, we maintain highly reliable and consistent service levels. Our transport operations are 100% tech-enabled. Each of our truck is fully equipped with location tracking and monitoring sensors. Meeting Customers' Needs: We provide customized transportation solutions to our customers and fulfill their fleet requirements keeping the value of time. All the processing centers of AVG Logistics Limited handle the fast freight movement and that is why transit time is the lowest in our company and our service is highly précised. Mirror Shading for Visibility: We believe in providing transparent services to our customers by providing them 100% visibility. Our vehicles are GPS enabled, which makes the supply chain much more efficient and cost-effective. Our customers have the ability to have greater insight into what exactly is happening at any time and stage in the supply chain. High Profit, Less Cost: With our dedicated transportation solution, we ensure that goods stored correctly in our trucks and then delivered to customers in an efficient and cost-effective manner. The rapid transit time enables our customers to reduce cost and earn high profits. We understand that every business has its own needs and challenges. Therefore, we customize our dedicated services so that you can reap maximum profit out of it. Cold Chain\Reefer: The cold chain is a temperature controlled supply chain, which involves storage and distribution activities in temperature sensitive trucks. We at AVG Logistics Limited have enriched industrial experience of delivering goods to the customers in the fresh state via cold chain. We use latest technology to meet customers' temperature-particular necessities. Temperature Integrity: The temperature abuse is one of the biggest banes in the cold chain transport industry, which can be eliminated with the right transport, dedicated driver and schedule. All the vehicles that we use for the delivery of reefer goods have real time temperature monitoring system. High Level of Transparency and Visibility: We take care of the real time visibility of the temperature and location tracking for all vehicles with the help of GPS. Our customers can download the temperature data reports through performance dashboard. Cost Reduction: The cold chain segment has experienced a commendable progress in our company after the introduction of refrigerated vehicles, which ultimately results in lower transportation cost for our customers. Largest Reefer Network (14-34): AVG Logistics Limited has become a leader in cold chain segment. With a large potential for sourcing and consumption of temperature sensitive products, we have become a logistics company with India's largest reefer network. Highly Trained Staff for Delivery: Shippers of the perishable goods are highly trained to deliver your products freshly at the scheduled time. The temperature in the vehicles is monitored by them and they are trained very well to handle the perishable goods of our customers. TMS Integrity Temperature: The monitor readings of the temperature sensors are installed in our trucks to monitor their temperature. We make sure that the temperature sensitive goods safely deliver at the expected location. In order to give optimal satisfaction to our customers, we provide guaranteed express delivery services with the most efficient method in order to deliver then products swiftly without causing any damage. We have established ourselves as one of the prominent service providers of Household Goods Parcel Services. We are incredibly reliable and trustworthy and make sure that your parcel is certainly delivered at the destination within the mentioned time frame. We provide part load transportation services with varied type of trucks all over India. The transportation of goods by two or more modes of transport, under one contract is termed as multimodal transportation services all across the country. AVG Logistics Limited is recognized across India to provide the best multimodal transportation services. The state of the art technology and methodical approach ensure that the multimodal transportation solutions are cost effective and time outbound. We are a market leader in providing different rail cargo services to our customers, such as Full rack and peace meal transportation, container movement & terminal management across all CONCOR ICDs. With an aim to stay ahead of the competition, AVG logistics Limited has engaged in Freight Forwarding services. We have a team of professionals that do in-depth Research and Development about various routes of connectivity that help us to provide efficient and time-bound services to our customers as per their requirements. Handling return cargo needs the vigilant balance of effort and profit. AVG Logistics Limited provides a unique platform to customers in a returns request that goes to their typical designation. We have made it easier for you to export your goods without any hassle to Nepal and Bangladesh. We understand the trade culture and the operational procedures in the respective countries. We help our clients get free from the tension of exporting goods in Nepal and Bangladesh in a cost effective manner. We are a complete logistics and supply chain service provider with a specialization in cold chain and refrigerated transportation. We understand the importance of temperature controlled transportation in a time sensitive perishable supply chain. We have become one of the fastest growing logistics companies in the integrated cold chain solutions. To remain the customer's preferred choice in the cold chain and refrigerated transportation, we are providing high-quality services at cost-effective prices.